I have been a professional astrologer for 30 years. My astrological education began in Russia in the early ‘80s (still Communist time), in “underground” groups. Pavel Globa was our “underground” teacher, though in those times he wasn’t famous like he is now. Being invisible was for the better: the further from KGB eyes the healthier. I received a serious astrological education in Russia, although I’ve never stopped learning. When I moved to Vancouver, Canada, in 2003, I was shocked to learn how much less respected astrology is in North America in comparison to Russia (and some other countries). I realized that astrological education would help and, after improving my English a bit, began teaching astrological classes through the Vancouver School Board (Continuing Education). Many years ago, when it became not enough just to predict, I engaged in studying Tarot cards, runes, energy healing and Cabbala (to be able to change destiny). After that I dedicated my life for almost 15 years to helping people through energy healing and white magic. I am not doing this kind of work any more, although my abilities are still there. For example, when I do diagnostics using my hands I can see with them as if they were an X-ray machine. Right now I do just astrological counselling and sometimes house cleansing/checking for the presence of ghosts/spirits. Currently my work is mostly educational through teaching classes and writing books. 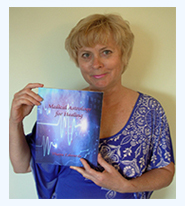 I’ve written a book on Medical Astrology (a much understudied branch of astrology) which has been published by the American Federation of Astrology. This book can be found on Amazon. 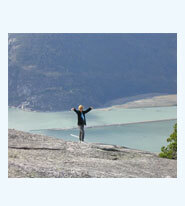 With the help of professionals I also created an educational astrological DVD. I do tutoring on astrology, runes and Tarot cards, both in person and on-line.